NairaBet are undoubtedly one of the most traditional and well-established bookmakers in Nigeria, with their sports betting site having already attracted a large number of customers. Despite in-play markets forming a large proportion of their offerings, NairaBet have a number of attractive features and services, with the following review providing a detailed look at their operation. However, let’s first take a closer look at NairaBet’s history, as well as their achievements to date. Having been founded back in 2009, NairaBet are full licensed and regulated by the Lagos State Lotteries Board. With their headquarters based in Nigeria, it comes as little surprise that the majority of their customers come from the African country. Meanwhile, the fact that at the bookmaker was founded by Nigerian politician and philanthropist, Akin Alabi, who has a significant reputation within the country. NairaBet has a large number of betting shops across the country, however their online platform is now gaining a huge amount of attention, helping to make them one of the biggest players in the African gambling industry. NairaBet employ a large team of professionals in order to keep their operation running at a high level, with users able to place bets via their desktop and mobile device. NairaBet recently added an online casino to their services, however our review will focus upon their sportsbook. Let’s first take a closer look at some of the positive and negative factors surrounding NairaBet’s operation. Our NairaBet review has found that while the bookmaker cannot compete with some of their well-established European competitors, their sportsbook still caters for the masses with their range of markets. Meanwhile, given the sports popularity in Nigeria, it perhaps comes as little surprise that football dominates proceedings on their site. However, NairaBet have improved their range of markets in recent times, with the bookmaker now offering bets on a total of 18 sports, with everything from basketball and tennis having been joined by more diverse disciplines including handball and fustal. In our review, we found the following sports markets available for wagering upon Football, Basketball, Tennis, Rugby League, Cricket, Baseball, Rugby Union, Snooker, Motor Sports, Darts, Hockey, Handball, Aussie Rules, Futsal, Volleyball, Boxing, Floorball, Table Tennis. However, despite our NairaBet review having shown a significant number of sports markets, as previously mentioned, it is football that dominates on a daily basis. At the time of writing this review, over 1000 football markets were available, whilst sports such as tennis and basketball offered under 100, demonstrating just how popular the “Beautiful game” is with both NairaBet and in Nigeria. With live betting markets also playing a huge part of NairaBet’s operation, the Nigerian bookmaker actually offer some surprisingly good odds. Despite some foreign bookmakers offering better prices on the whole, sports such as basketball, tennis and football are certainly attractive at NairaBet. Meanwhile, accumulator style bets can also potentially bring about significant winnings at NairaBet, with the bookmaker also regularly offering promotions in this area. Odds are displayed in either decimal, fractional or American, with users able to easily change this at their desire at the top of the page. However, betting limits at NairaBet are relatively low in comparison to some of their competitors, which will potentially put off some potential European customers. NairaBet have developed one of the most visually-pleasing and easy-to-use sports betting websites around, with navigation between markets and features being a stress-free process. All sports markets are listed cleverly on the left-hand side of the page, while popular pages such as in-play, promotions and daily coupons can be found at the top of the screen at all times. Meanwhile, a bet slip, located on the right-hand side of the page, automatically updates when a selection is added by the customer, allowing punters to easily see their wagering options and potential winnings. Elsewhere, current promotions are often displayed on screen in order to keep customers up to date with such offers, however unlike with other bookmakers, this does not come across in a negative manner. Unfortunately, and what is undoubtedly one of the few negative factors found in our NairaBet review, the bookmaker does not currently offer a mobile betting app. Such platforms are regularly used by customers looking to place bets quickly and on the go, which is certainly something in which NairaBet will have to look into in the near future. However, the bookmaker does offer a fully functional mobile-friendly website, with all of the same features as found on their desktop site being available. As well as this, customers can choose between both a small and large version of the mobile site, particularly useful with devices using different screen dimensions. As previously mentioned, despite having improved the number of markets in which they offer, NairaBet do not perform so well when it comes to their betting coverage. While football fans will certainly be pleased with the number of options provided, with punters able to bet on the match winner, first goalscorer, total goals and even number of corners on major matches from across the world. However, fans of other sports are not catered for in such detail, with many only offering a handful of markets. Meanwhile, NairaBet have gained an excellent reputation as a result of their live-betting capabilities, with a large number of markets available to customers on a daily basis. With the bookmaker providing extremely appealing odds on such markets also, it comes as little surprise that this form of wagering is becoming increasingly popular at NairaBet. A dedicated in-play page displays all current options in this area, with odds changing regularly depending on the scoreline of the event. The number of football markets is again pleasing, with only volleyball and ice hockey being the other sports found at the time of writing this NairaBet review. There are also a range of virtual betting markets at NairaBet, which are also gaining in popularity. Elsewhere, NairaBet do offer a form of live streaming, however it is only horse racing that currently features. A host of other bookmakers give customers the opportunity to watch sporting action from around the world, with this being another area in which NairaBet may look to improve. However, streams are fast and in high-quality, meaning that horse racing fans can watch the action as it unfolds from a large number of meetings. As well as this, users are not required to deposit cash or place bets on races in order to gain access, with even those without an account able to take advantage. 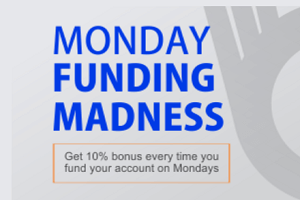 Monday Funding Madness- Customers will receive a 10% bonus on all deposits made between 9am and 9pm on Monday’s, with accounts being credited within 24 hours. However, it is worth baring in mind that only deposits made via Quickteller, ATM, USSD and bank deposits qualify as part of this offer. Meanwhile, the maximum deposit qualifying for this promotion is set at N50,000. Goalless Draw Money Back- Those placing pre-match bets on English Premier League matches will receive their stake back in the form of a free bet, should the match end in a 0-0 draw. One Game Cut Your Ticket- NairaBet further reward customers who have seen just one pick ruin their bets, particularly appealing for those who enjoy placing accumulator bets. Meanwhile, withdrawals are processed free of charge, however a maximum of 500,000 Naira can be withdrawn at once, which may come as a disappointment to serious or professional punters. The minimum withdrawal amount at NairaBet currently sits at 1000 Naira. NairaBet certainly perform well when it comes to customer support, with their customer service features being available 24/7, all year round. Their telephone line is perhaps the quickest form of communication, while an online message service allows customers to send their issues or questions directly to NairaBet, free of charge. Meanwhile, NairaBet offer a live-chat feature, which despite not being as quick and efficient as some, does offer customers an easy method of communication with support agents. NairaBet are also a bookmaker who have a good social media presence, with users also able to connect with them via platforms such as Twitter, Facebook and Instagram. NairaBet have a large team of customer service agents, meaning that response times are generally better than the industry average. Despite still playing catch-up with their European and North American counterparts, NairaBet are certainly a bookmaker who can be trusted. A state of the art SSL encryption is utilised in order to ensure that all transactions processed on their site are 100% secure, while they have worked hard in order to establish relationships with independent auditing agencies, which will help to further enhance their reputation. Customers must use their username and password to log into their respective accounts, helping to ensure that no third-parties are able to gain access to important banking details or personal information. Meanwhile, the fact that they hold a valid gambling license from the Lagos State Lotteries Board is further testament to their work to date, with not just any new bookmaker able to achieve this. With so many African bookmakers struggling to gain a good reputation at present, NairaBet are certainly one of the most reliable betting platforms online today. Our NairaBet review has found relatively few negative factors, with a whole host of positives, which should mean that the bookmaker continues to attract major interest from both new and existing betting customers. NairaBet are continuously adding to the number of sports markets in which they offer on their site, and despite football dominating, their coverage is now at a pleasing level when it comes to the majority of events. Meanwhile, their live betting coverage is also attractive, with betting football teams to come from a goal behind to win or a tennis player to win a deciding set often bringing about some hugely appealing odds. Elsewhere, NairaBet regularly introduce promotions in order to attract customers, with their accumulator insurance and Monday boost offers standing out in particular. Meanwhile, and in what is a break from the norm when it comes to African bookmakers, NairaBet provide 24/7 customer support, 365 days a year. This means that customers can rest easy, knowing that any issues or problems that do arise, will be dealt with in a friendly and efficient manner. Whether you are new to the world of sports betting or simply looking for a new platform, NairaBet is certainly a website worth considering for all Nigerian’s. While football dominates proceedings on their sportsbook, there are also an increasing number of more diverse disciplines being added, with recreational customers able to earn some significant winnings as a result of their betting limits and competitive odds. A lack of mobile app is certainly a disappointment, with more and more customers requiring the ability to quickly and easily place bets on the go. However, a mobile-friendly website is available for mobile users. Elsewhere, a lack of welcome bonus is also a negative factor found in this NairaBet review, with their range of ongoing promotions only partly making up for this. However, NairaBet have earned a reputation as being Nigeria’s biggest and most efficient betting platform, with their customer service features, in play options and range of banking methods certain to please most potential users. NairaBet scores well overall as a result, and having only been founded in 2009, their operation is only likely to improve, with more markets and features being available. In terms of negatives, Bet9ja only offer one method of processing withdrawals on their site, with having bank transfers as the only option likely to come as a disappointment to many. Elsewhere, a lack of markets when it comes to horse racing is another drawback for Bet9ja, with their range of virtual options failing to make up for this. However, despite this, Bet9ja are a bookmaker who score relatively well across the board, despite not pulling up any trees in this competitive marketplace. A few minor changes, including developing and introducing a mobile app, could make a significant difference here, with Bet9ja still relatively new to the industry having been established in 2013.